At the time of purchase this blanket will be available to you in a fully folded state enclosed in a storage pouch which can fit into your pocket. Once unfolded the blanket can spread to an area of 63 x 44 inches. The blanket is thin, light weight and durable. But remember, since its thin in size do not expect it to be much comfortable and also it may not be able to withstand strong winds if you are sitting in a park or a picnic spot. If it was not thin it cannot be folded in a small area to be stored in a pouch. Also the blanket from bottom is resistant to penetration by water but not entirely waterproof. That is what the meaning of water-repellent is. The storage pouch is sewed at one of the corners of the blanket. 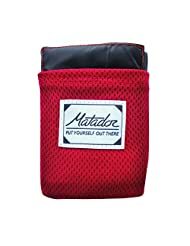 All the directions are given through various red lines on the blanket how to fold it and finally pack it in the storage pouch. Here is a nice video review of this product. There are two glasses in any spectacle and in the case of RG8A one glass can be folded over the other and then packed in a small box to be delivered to customers. That is why it is called folding glasses. 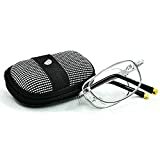 This is not the case with other spectacles where one glass folds and fits over the other in a case. The frame is made from silver while only the tips of the spectacles are in golden color while rest of the frame is black and white in color. These glasses are basically used to see better and bigger the nearby objects. Reading glasses are meant for that purpose only. This product is easy to go in your pocket. This is another unique and unusual product to gift someone. 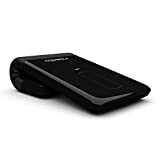 Its a mouse which can be folded and it gets connected to the laptop or desktop via bluetooth 4.0 once it becomes in the folded state. You can read more about this product in another article specifically written about it. 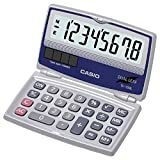 Its a foldable calculator in the Casio brand. Its size is bigger when unfolded and it becomes much smaller in size when the cover is folded over the keypad. It runs both on battery and solar power and so its two-in-one. The keys of the calculator are well protected from dust and other shocks because of the foldable case. When in folded state its not more than the size of a credit card. A great product to gift someone who is involved in lot of calculations in everyday life including kids. This product is also cheaper in price and durable as well. Its getting best ratings from customers on Amazon. This is another item that can be folded and put into pocket to be used anytime anywhere you want as your pocket will remain with you wherever you go and so will be this comb. 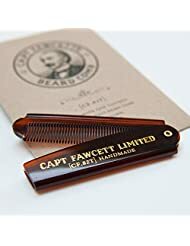 Basically its a beard comb but one can also use it as a hair comb, after all hairs are hairs whether as a beard or on the head. Its a very professional looking handmade comb and should be a part of any young boys pocket. This is an amazing product. Its works as flashlight when in small folded state and can be converted into a lantern when unfolded or expanded. 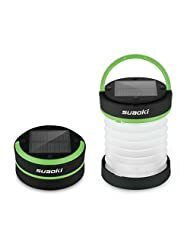 It has a solar panel on the cap to be charged by sunlight. It also has a USB port to charge your mobile phone or laptop through it. There is an inbuilt battery of 800mAh inside this two-in-one flashlight and lantern. This battery can be charged through the solar panel in sunlight and this charge in turn can charge your phone on the go. Read more about it in this article which is based on this particular gift item only. This is the best foldable product of all the products mentioned above. It has a softy touch and its very flexible keyboard which can be folded and the two folds attach with each other using magnetic powers. The keyword is in the closed status once folded. The best thing about this keyword is that it can be simultaneously switched between two mobile devices with the touch of a single screentouch button. Its means if you are running one device (say a laptop or iphone) through this keyword and immediately if you want to use this same keyword for another device (say a mobile device) than you simply need to touch the button that shifts you from one device to another while using your keyboard. 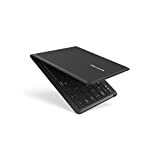 But you need to make sure all the devices are connected through wire on the keyboard or all devices are bluetooth enabled with bluetooth version compatibility. Here is a nice video review of this foldable keyboard from microsoft. This lamp looks like a handbag with a chain but once unfolded it becomes a study lamp. This lighting lamp will create a colorful rainbow on the wall of the room in the dark. This light will give a 3d look when it is light up, otherwise it is just a 2d light only with width and length. This pocket shot is a new invention and can be used as a good replacement for slingshot.